Works with all Milwaukee M12 batteries. Complete with accessories as shown. 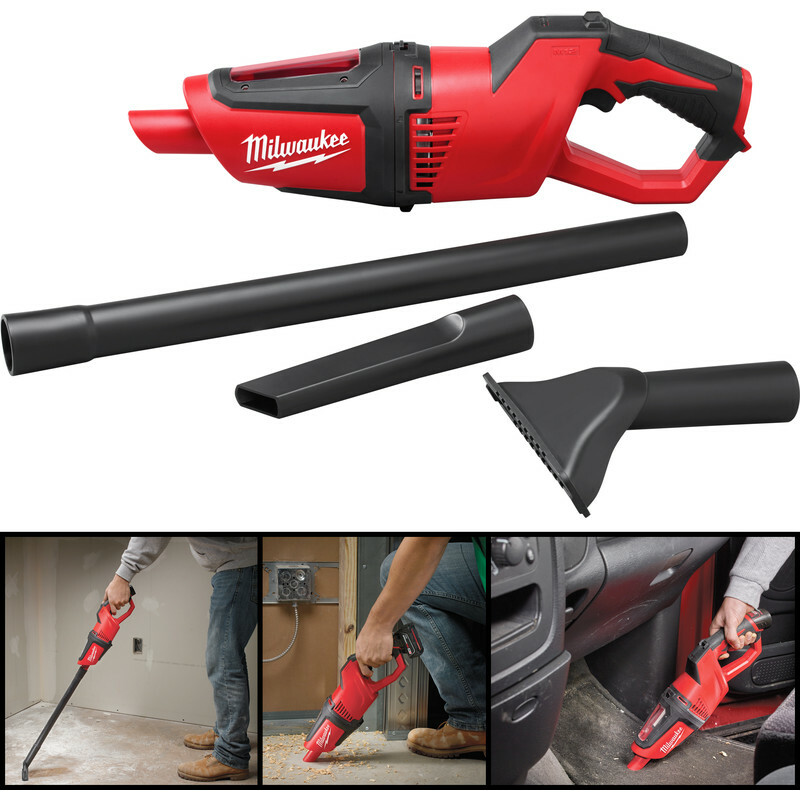 Milwaukee M12HV-0 12V Li-Ion Cordless Stick Vacuum Cleaner Body Only is rated 4.2 out of 5 by 5. Rated 2 out of 5 by Richjt from Terrible at sucking up dust and debris I’m a plumber and bought this for general tidying up and boiler servicing. Found it to have next to no suction and made fine dust disperse about the room which left me something else to tidy up with my other hoover. Wouldn’t recommend this product. Rated 5 out of 5 by Blakedoh from Perfect for car Already have the Milwaukee 12v lithium system and thought this would be good addition for use in the cars. Great quality and suction power. Perfect for what I wanted. Rated 5 out of 5 by madjo89 from Great small vacuum cleaner I bought 2 vacuum cleaners and they work perfectly. Small size, light weight , good size container capacity and long battery life ( I'm using 4aH battery). Like a negative side I can say is very noisy but that's all. Rated 5 out of 5 by Anonymous from Great company I bought this product to do one job and it does what it's says!